QLTS School is the market leader for training and consulting services for the QLTS assessments. We serve individual lawyers and the world’s top law firms. We are the only training provider focused exclusively on offering courses for the QLTS since its introduction in 2011. Our tutors and management team have been attending the QLTS workshops held by the SRA in London, following which we have designed and developed our QLTS preparation courses, which reflect the SRA’s Day One Outcomes and the examiner’s requirements and will therefore ensure you’re ready to pass on your first attempt. QLTS School’s preparation courses are the most comprehensive, effective and affordable training for the QLTS assessments. We have a proven track record of numerous candidates who passed the QLTS assessments on their first attempt. We have filmed about 100 of our past candidates who are now dual-qualified English solicitors – we invite you to visit the Success Stories page on this website to learn more about their experiences (obviously we have many more successful candidates, but we have stopped filming after around 100 videos). 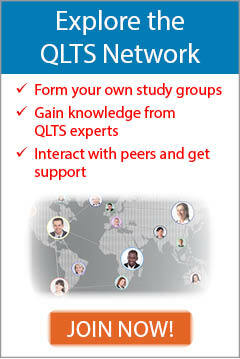 We also maintain the QLTS Networking Group on LinkedIn, with over 14,000 members. 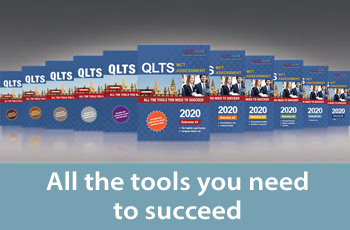 In October 2013, QLTS School received a strategic provider status by the Legal Education and Training Group (LETG)—an organisation whose members are the legal training and professional development managers at the 200 leading law firms in the UK. Most importantly, the pass rate of our candidates is significantly higher compared to non-QLTS School candidates. Our pass rates have been checked and validated by ICF International (NASDAQ:ICFI), an independent unbiased research firm, in a research conducted in 2013 and 2014 which covered three consecutive sittings of the MCT. The assessment provider, Kaplan QLTS, is not authorised by the SRA to provide preparation courses for the QLTS assessments. The scope of the material, however, is very comprehensive and based on the same standards expected of lawyers who qualify as solicitors through the domestic route in England and Wales. In fact, you can spend days just trying to understand what is covered by the syllabus. It is, therefore, essential that you prepare for the assessments with a course provider that understands your needs and will provide you with the right guidance and advice from day one. Preparing with QLTS School will help you focus on your studies and save your time, money and effort of trying to compile your own study materials and plan. We know you’re a busy lawyer, and you have your job/clients to take care of. That’s why all our course content is focused and straight to the point, and at the same time covers everything you need to know to test and pass with confidence. QLTS School’s courses empower you to study in your preferred environment, at your own pace, and at the most suitable and convenient time for you – whether at home or in your office, in the UK or elsewhere. Our materials are suitable for candidates from different backgrounds and varying levels of legal knowledge and experience in English law. You may be qualified in a common law or civil law jurisdiction, have little or extensive legal experience, English may be your first or second language, and you may be working full-time or part-time – whatever your circumstances are, you can be sure of expert support, quality training and the flexibility to tailor your training requirements so that you can prepare for and succeed at passing the QLTS assessments on your own terms.